Schenectady is a city in Schenectady County, New York. And is the ninth-largest city in New York. 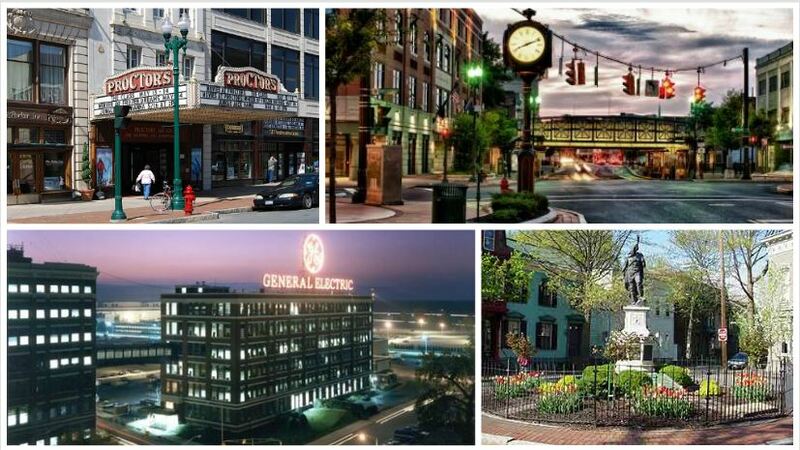 Schenectady is located just 19 miles outside New York’s capital city of Albany. Schenectady has great, walkable shopping available nights and weekends in both downtown and the Upper Union neighborhood. Other neighborhoods include Bellevue, Dowtown, Woodlawn and Stockade Historic District. The Schenectady School District has nearly 10,000 students. The city’s high school offers numerous courses and programs, including the International Baccalaureate and more than 30 University courses in which high school students earn college credits at the University of Albany and SCCC. The history of GE and American Locomotive Works are still felt as this city is poised for the opportunities of growth in the 21st century. Schenectady was once known as the “The City that Lights and Hauls the World”, in reference to the two major companies that called the city home: the Edison Electric Company (now known as General Electric), whose administrative branches remain in the city, and the American Locomotive Company. 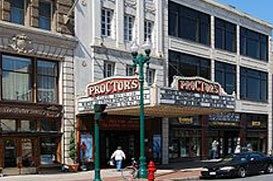 Schenectady is home to Proctor’s Theater, an arts center. Built in 1926 as a vaudeville/movie theater, it has been refurbished. Proctor’s was also the site of one of the first public demonstrations of television, projecting an image from a studio at the GE plant a mile away. Today, Proctors is home to 3 theaters including the historic Mainstage at Proctors, the GE Theatre at Proctors and 440 Upstairs at Proctors. Union College, Schenectady Community College and General Electric Company are also located in Schenectady. Schenectady has shown up several times in pop culture. The film The Way We Were was filmed on location in Schenectady at Union College. In the television program, “The Honeymooners”, Trixie’s mother was from Schenectady. In one episode of All In The Family, Edith mentions Schenectady. Recently, Ryan Gosling, Bradley Cooper and Eva Mendes filmed the movie The Place Beyond The Pines. You’re looking for local shops, historic immersion. View the Real Estate Market Reports for Schenectady County here.